This product is listed as a SECONDS item. Item may have blemises, scratches or other imperfections. It is not sold as a perfect item. Please consider this when purchasing. There will be NO RETURNS and NO REFUNDS available for this item. NO EXCEPTIONS. This item is PICK UP IN STORE ONLY. 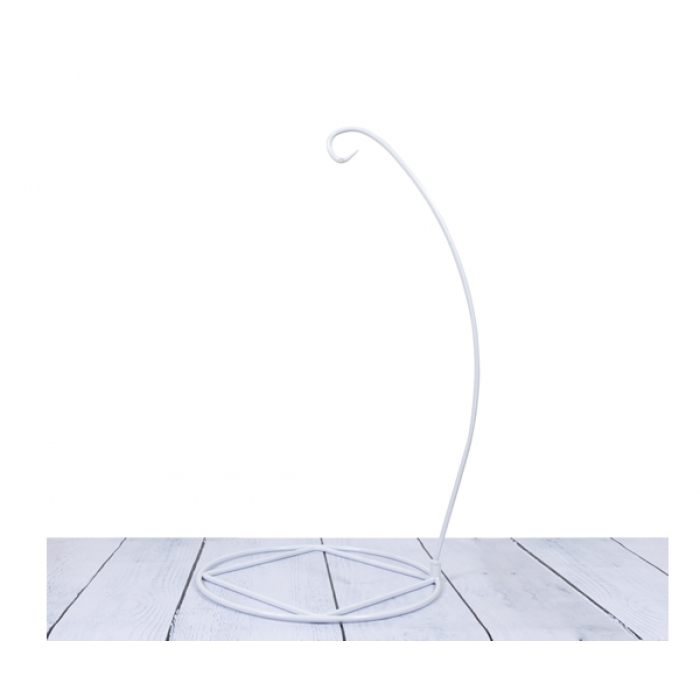 Sturdy craftsman made Hanging Cake Stand in White. This beautiful stand measures 72cm high and can accomodate the diameter of a 10" cake as the base cake with a further 2 tiers above. Strong enough to carry 3-4 tiers of mud cake(max recommended load 12kg). The stand comes in two pieces for handy storage. The arm gently screws into the base with a nut for tightening. 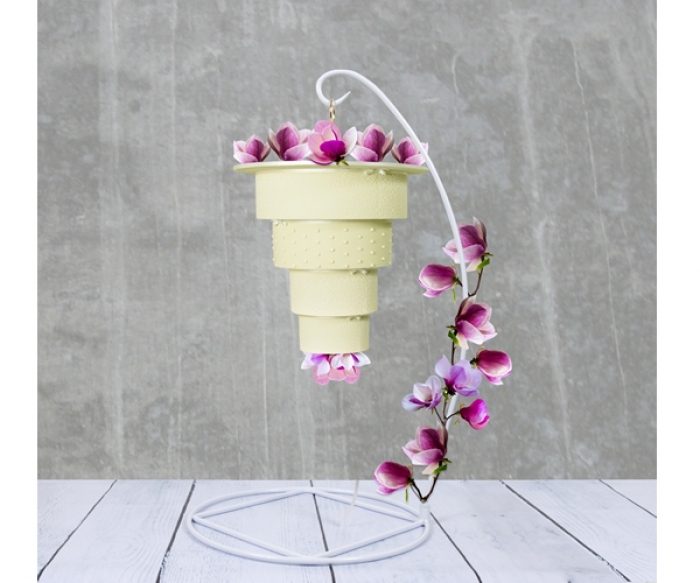 Use with our hanging kit in gold or our hanging kit in silver or you can supply your own. The stand does not come with a hanging kit. Made from strong 9mm Painted Stainless Steel.